Mining is the process by which new crypto coins are created. Unlike traditional money that is printed and distributed by the government, cryptocurrency doesn’t have a ‘central government’ per se. The mining process itself is both computationally and energy intensive, especially as the millions of processors worldwide need to be cooled, using even more power. Sebastiaan Deetman, an environmental researcher from Leiden University calculated that if the Bitcoin network continues expanding at this rate, it could draw over 14 Gigawatts of electricity by 2020. This is the same total power generation capacity as Denmark. As the value of popular virtual currencies increases, so too does their potential to expand and be transacted; this means more strain on the grids. In Venezuela, for example, authorities uncovered a warehouse full of 10,000 mining computers, reportedly drawing enough electricity “to power a whole town.” On the bright side, however, this is also pushing some companies and individuals to mine cryptocurrencies using renewable energy. Established in 2012, NastyMining is a sustainable operation based in Arizona that uses solar and wind energy to mine Bitcoin. The founder goes by the name of OgNasty. He created a platform for a pool of small-scale miners to partake in “socially responsible Bitcoin activities.” OgNasty tries to keep mining fun instead of simply focussing on profit. To be a part of the pool, miners must buy a seat in NastyFans, OgNasty’s ‘Bitcoin fan club.’ All 30,000 seats are currently occupied, however, NastyFans also runs an auction site for users to buy and sell their seats. Members earn profits from the NastyMining mining pool proceeds, as well as a percentage of proceeds from other sales, such as mint physical Bitcoins made from precious metals. Mining Bitcoin with solar power forms part of OgNasty’s Green Energy Project, launched in February. SunPower, a US solar power company donated 29 panels to the project and a wind turbine was sponsored by Crypto Exchange YoBit. OgNasty is looking to expand his solar and wind power production in the future and is always in search of new ways to reduce energy consumption and costs. He hopes to get a bicycle-powered generator to keep himself busy and eventually wants to install a cooling tower and immersion tank for the equipment. HydroMiner is a sustainable crypto-mining company, initiated by two sisters, Nicole and Nadine Damblon. The pair built the company after teaching themselves how to mine on their computers in 2014. Their operation mines various cryptocurrencies using green energy harnessed from hydropower stations in the Austrian Alps. Currently, the company owns two hydropower stations in Schönberg and Murau, Austria. Founders chose this location due to the low cost of electricity, claiming it’s 85 percent cheaper than the average in Europe. They also use water from the power plants to cool the mining equipment, further reducing energy output and costs. HydroMiner’s goal is to have the industry’s lowest carbon footprint. It also plans to acquire more hydro plants and hopes to enable smaller investors to join a profitable mining operation. “The days where you could make a fortune mining Bitcoins with your home computer are over. Today you need specialized hardware, cheap energy and the funds to scale the operation,” explained Hydrominer’s Chief Technology Officer, Christian Vogl, in a video on their website. From October 18, investors can buy ‘H2O Tokens’ to join the HydroMiner mining pool. Each token represents the rights to net profits generated from one watt of HydroMiner energy. Payouts to token holders are scheduled to begin on February 1, 2018. HARVEST is a wind-powered crypto-mining project on a smaller scale, created by Berlin-based ‘critical engineer‘ and artist, Julian Oliver. It not only uses wind-energy to mine the virtual currency Zcash, but also donates all profits generated to three different climate change research organizations. The project was commissioned by Swedish museum, Konstmuseet i Skövde and is exhibited there for two months from September 14th. Julian envisions his creation to be deployed in the windiest parts of the world, mining cryptocurrency to generate money for climate-change NGOs. Whilst the above list does not even scrape the surface in terms of the ‘clean’ crypto-mining initiatives out there, the discussion has started and that’s great news for the Blockchain. 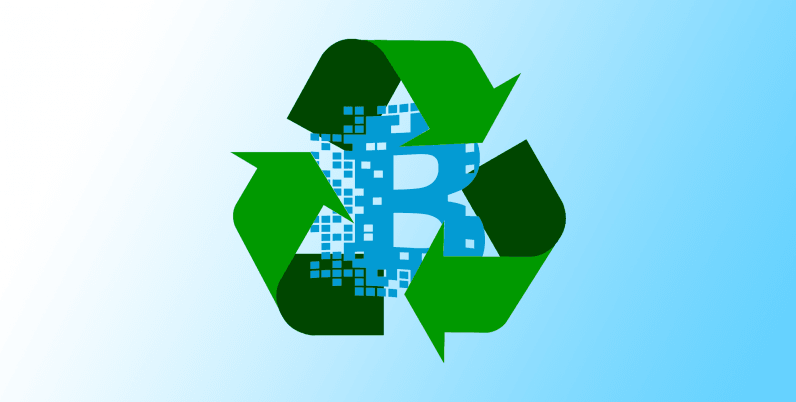 So before you pay through the roof for electricity or jump into any old mining pool, perhaps consider going green before you mine. Let’s not allow Blockchain’s rapid success to undermine its validity!